Versatile Scoop: Is This a Parrot or a Woman? I Have The Solution! 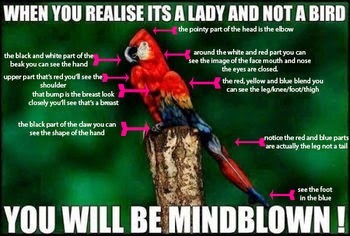 Is This a Parrot or a Woman? I Have The Solution! 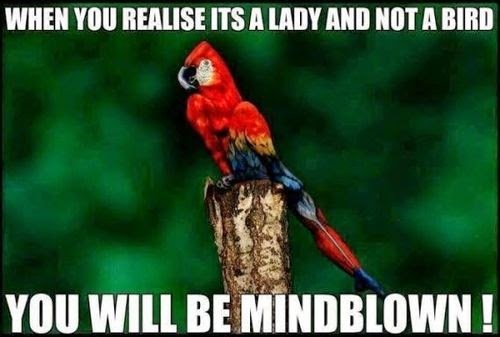 This is the picture of a woman, not a bird, but be prepared because, this is picture will drive you off the wall, if all you can see is still a parrot. It too me forever to see it. If you still can't see the woman, I have a little help for you after the cut!